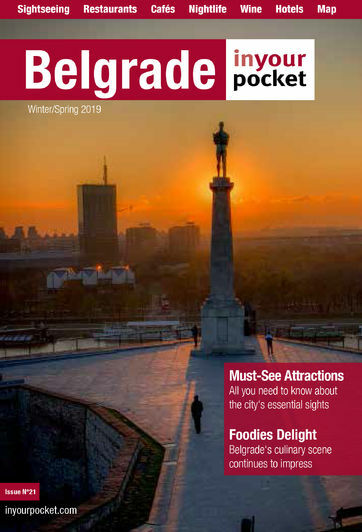 Belgrade is famous for its nightlife, although that is a sentence that all travel guides seem contractually obliged to use when describing the city. It is the splavovi that turn most heads (at least among first time visitors), and Freestyler generally offers all that one expects from the stereotypical Serbian night out. It doesn’t have a great reputation for being particularly friendly to foreigners though, so maybe best to watch out there. Open 23:00 - 05:00. Closed Mon, Sun. Don&#039;t believe the hype, Belgrade&#039;s nightlife is HIGHLY overrated, I lived in Belgrade more than one year and I know how things work like there. Clubs are ridiculously small, no dancefloor so no room to dance or move and you have to struggle to get yourself a drink. Bouncers will do everything they can to leave you out and charge you additional entrance fees once they see you&#039;re a stranger (which they won&#039;t if you&#039;re Serb), even if you have a reservation, so unless you have connections with someone from Serbia chances are you won&#039;t get in. But even in the remote case you manage to get inside, you&#039;ll soon find out that it&#039;s hard to meet people there since the big majority of Serbs speaks very little English. On top of that, waiters will look at you like you&#039;re a bum if you don&#039;t leave a tip (since when have tips become mandatory inside clubs?). Trust me, if you&#039;re looking for some good clubbing experience avoid Belgrade, go to Ljubljana, Zagreb or even Sarajevo instead, admittance rules are less silly there. please don`t go there! It`s just for serbian!!! The bodyguard asked us (two turist) 20 euros, but the entrance was free...they told us, that we need of resetrvation....STRANGE: with 20 euros given to the bodyguard we were in guestlist!!!! When I asked the ticket, they told me...MONEY IS THE TICKET!!! !They want money just for us and just to come inside...for serbian people was free...INCREDIBLE!! !